Welding will be an excellent job option for those who like working on open air. Exciting, interesting and rewarding, this career is rather easy to start. Get some more info on the issue in this article. Also, you can learn about some facilities that provide welding training. 4 Where Can Certified Welders Work in Maryland? Working as a welder you need to be able to connect two pieces of metal together. It may sound rather simple but in fact, a professional welder uses a variety of tools to heat and melt metal. To perform this job well, you should have some specific skills. According to the U.S. Bureau of Labor Statistics in 2016, an average median salary of a welder in Maryland is about $46 410 per year ($22.31 per hour). At the same time, a median salary throughout the USA is about $39 390 per year ($18.94 per hour). The top 10% of welders in the state earn a rather high salary which is about $64 920 annually. A salary of the top 10% of welders throughout the country is slightly lower. It’s about $62 100 per year. Where Can Certified Welders Work in Maryland? 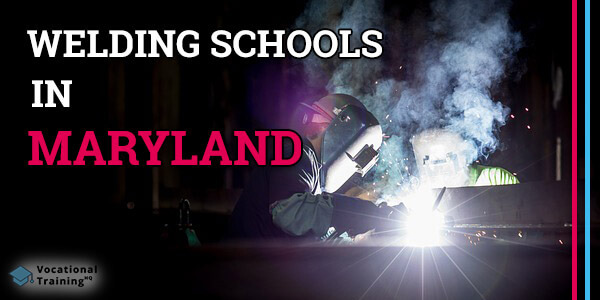 Below there is a list of the best welding certification schools in Maryland. There are 14 schools that were approved by the American Welding Society’s SENSE Accreditation Program.